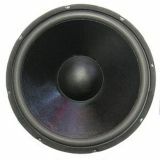 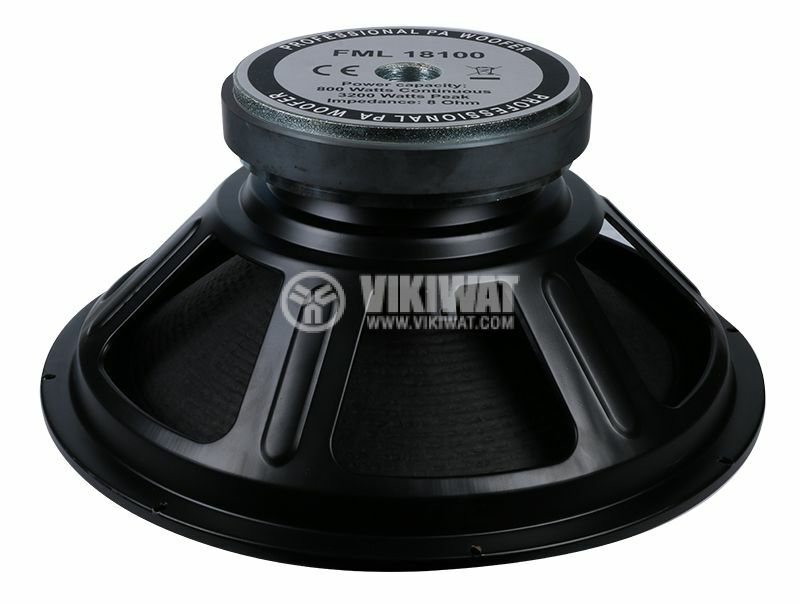 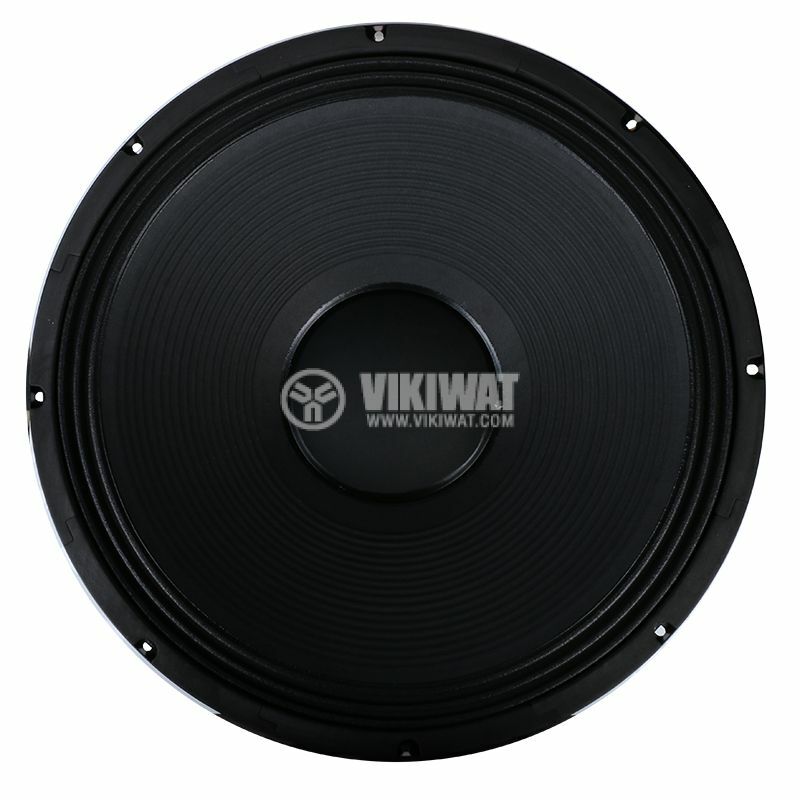 FML-18100 low-frequency speaker with 8 Ohm impedance, 800 watts and 18 "diameter. 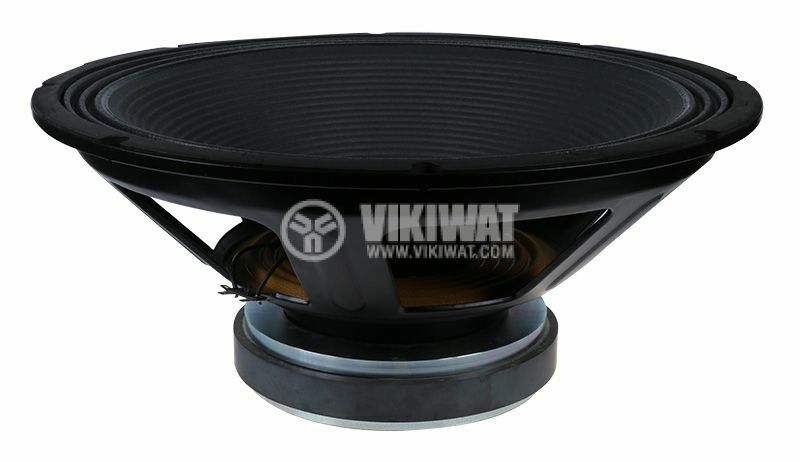 mounting depth - 139 mm. 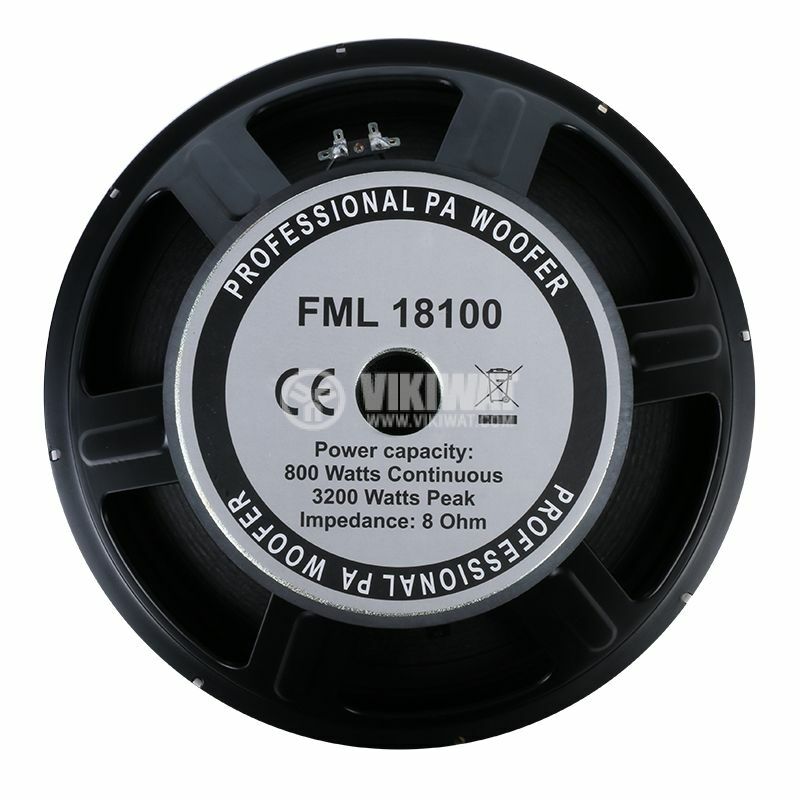 Loudspeaker, FML-1575/2, 350W, 8Ω, 15"